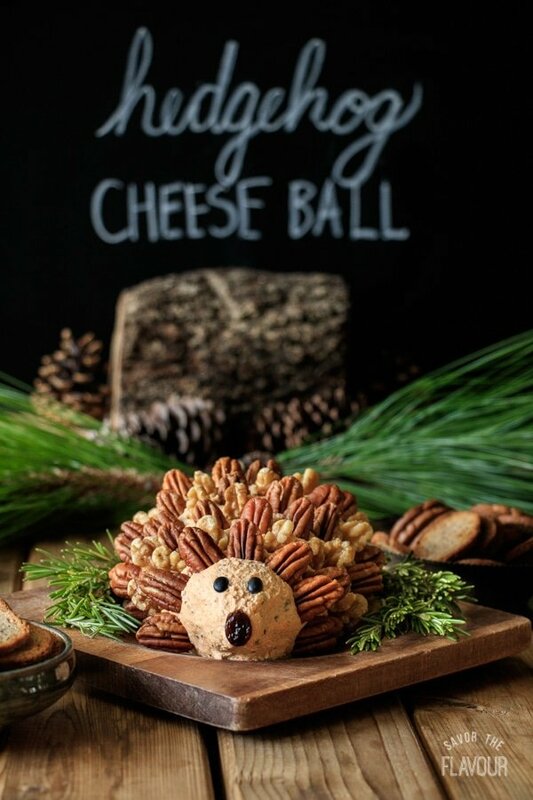 Woodland hedgehog cheese ball is a simple, savory appetizer that will be a stunning centerpiece at a woodland baby shower or first birthday. Cream cheese, cheddar, Worcestershire sauce, and spices make this vegetarian snack idea a super cute, gender neutral munchie. One of my favorite appetizers at parties are cheese balls. I’m a total cheese person, so the idea of a whole ball of cheese is like a dream come true! 😊 I love this recipe because it’s so cute, and it also has a wonderful onion flavor and creamy texture. It keeps fantastically in the fridge for up to a week, and leftovers can even be frozen for later! The pleasure of a 5-star review on this recipe would be appreciated. I encourage you to make this delicious and super easy recipe for your next party or get-together. It’s definitely a crowd pleaser! Make your own onion soup mix for less sodium and a better flavor than store bought. Use freshly grated cheese instead of the pre-grated kind for the best flavor and texture. Be sure to chill the cheese mixture before shaping it into a hedgehog. Wrap the cheese mixture in plastic wrap as you’re shaping it to keep your hands clean, then peel it off when you’re done. Try spreading the cheese mixture on a crostini or in a sandwich. Making the cheese ball ahead of time? Poke a few toothpicks into the hedgehog and cover securely with plastic wrap. Refrigerate until you’re ready to serve it. Any leftover cheese ball can be kept in the fridge for 1 week, and also may be frozen. Check out these other yummy appetizer recipes for baby showers or first birthdays. 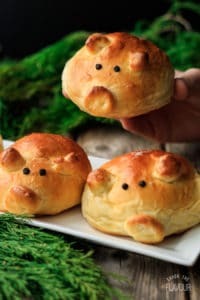 Pigs in a Blanket Rolls: an adorable twist on classic pigs-in-a-blanket. Easter Chick Deviled Eggs + Egg Peeling Secrets: an appetizer your family and friends will love! 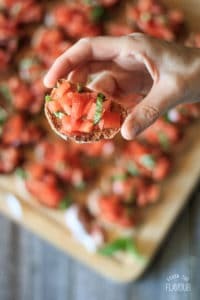 Easy Tomato and Basil Bruschetta: a crowd-pleasing Italian appetizer ready in just 35 minutes. 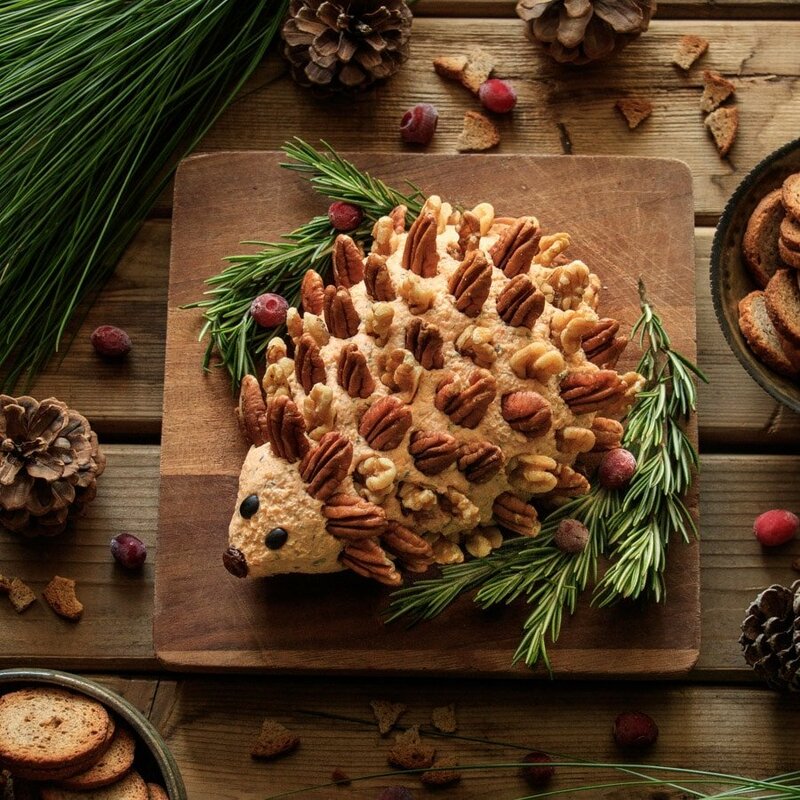 We’d love it if you could leave a 5-star rating below the recipe to share how you enjoyed this hedgehog cheese ball! Stir together all the spices in a small bowl until well combined. In a few batches, grind the spices a little smaller using a mortar and pestle. Set aside. Using an electric hand mixer, beat the softened cream cheese until fluffy. Beat in the cheddar cheese, sour cream, Worcestershire sauce, homemade onion soup mix, lemon juice, and additional spices. Blend until thoroughly combined, scraping down the sides for an even mix. Spoon the cheese mixture into a medium bowl and chill in the fridge for about 2 hours to firm up the mixture. Once the cheese mixture has chilled enough to handle, shape it into a smooth ball, then use your hands to shape one end into a point to make the hedgehog’s head. 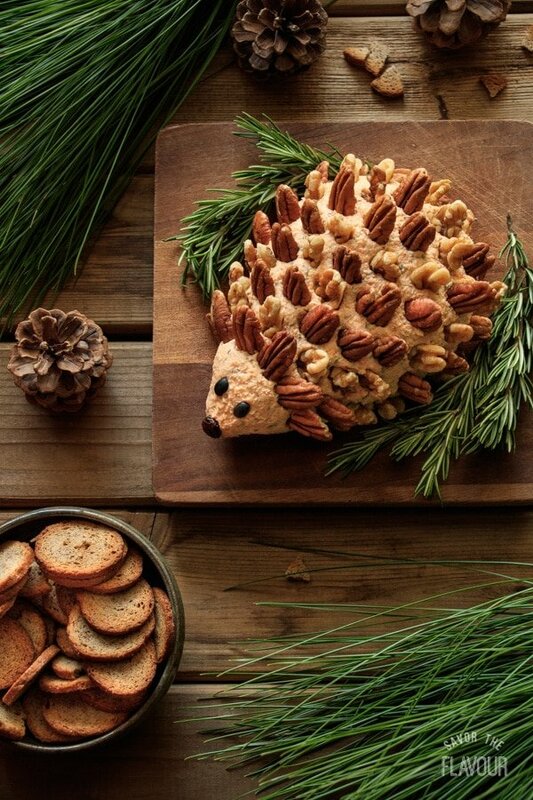 Place the hedgehog on the serving board and make any adjustments to the shape. If the mixture is sticking to your hands, wrap it in plastic wrap to shape, then peel it off when you’re done. Stick on the two dried beans for eyes and the raisin for a nose. 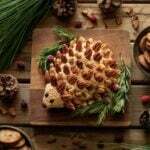 Decorate the hedgehog’s back with rows of pecan halves or walnut pieces to look like spines. Curl a few sprigs of fresh rosemary around the hedgehog to look like pine branches in a forest. Serve the cheese ball chilled with crackers. 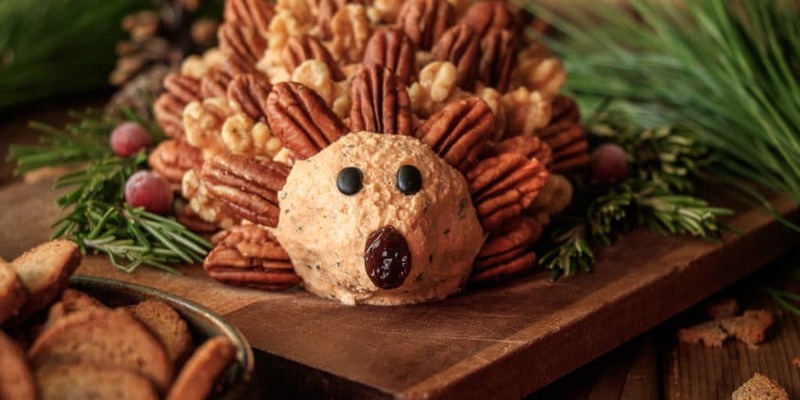 The pleasure of a 5-star review of this hedgehog cheese ball recipe would be greatly appreciated. I had fun making it and it tasted so good! I used coffee beans for the eyes and nose. Everyone loves it. I like that the DIY onion soup mix is not as salty as the packaged one.